Happy Monday, friends! It's Halloween week and my kids are getting excited. How fun is it that it falls on a Friday this year?! 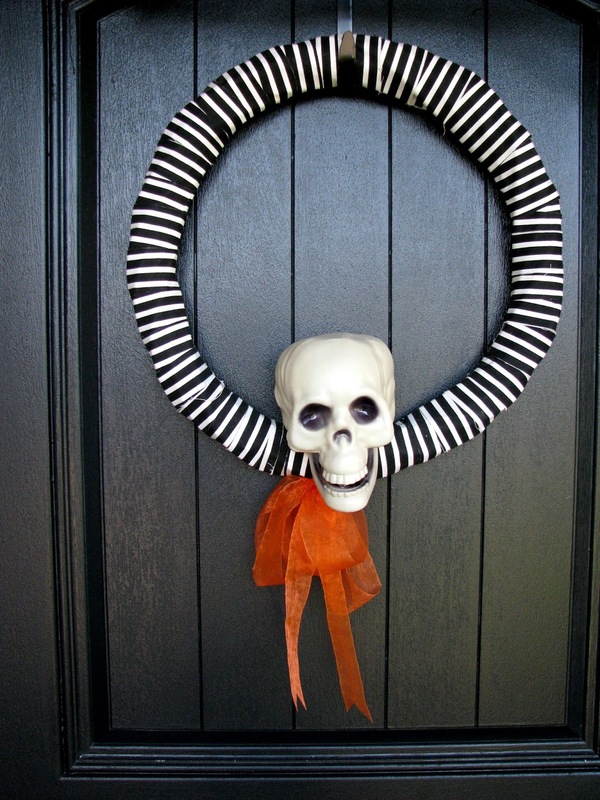 I didn't do any indoor decorating for Halloween this year, or even fall for that matter. I just didn't feel into it and didn't want to force it. 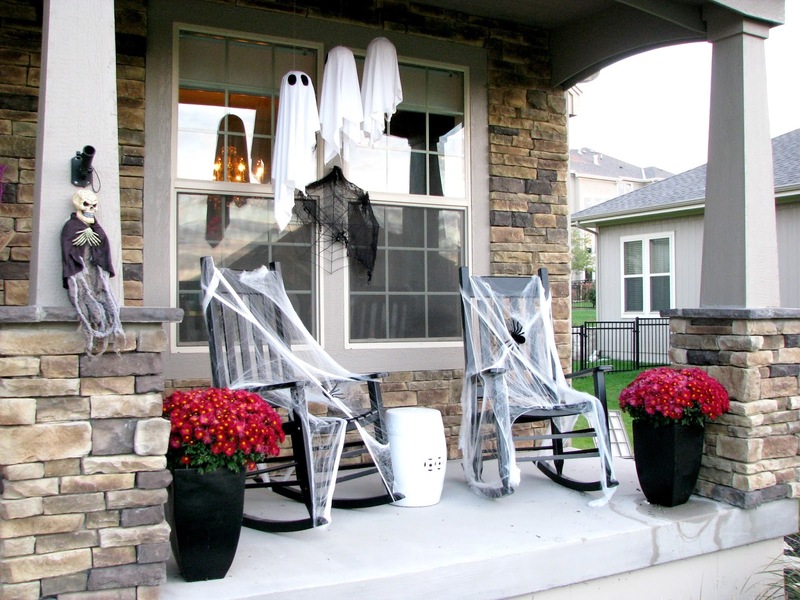 I do, however, love to decorate my porch, so that is where I concentrated my efforts! As usual, I like to use what I already have and add a few new touches. 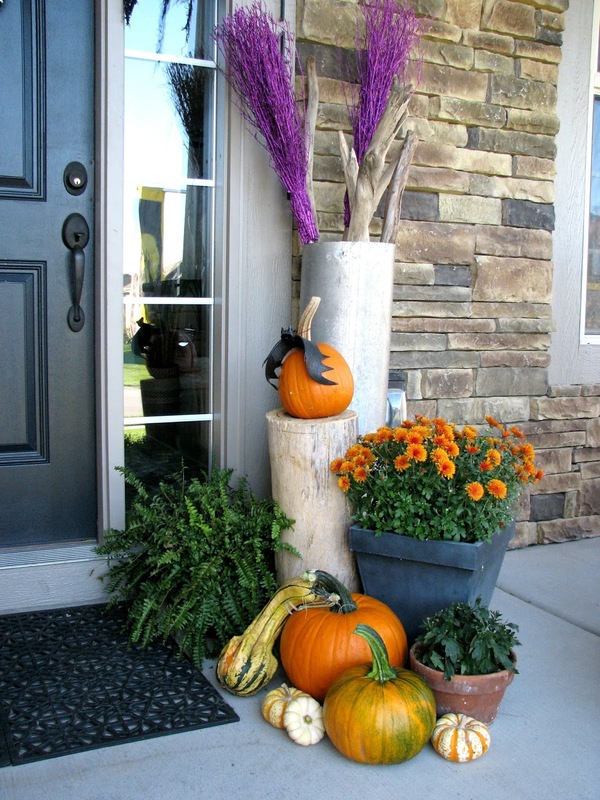 I used pumpkins and gourds and mums and ferns to fill in some empty space. I also used tree stumps to add some heigh difference. 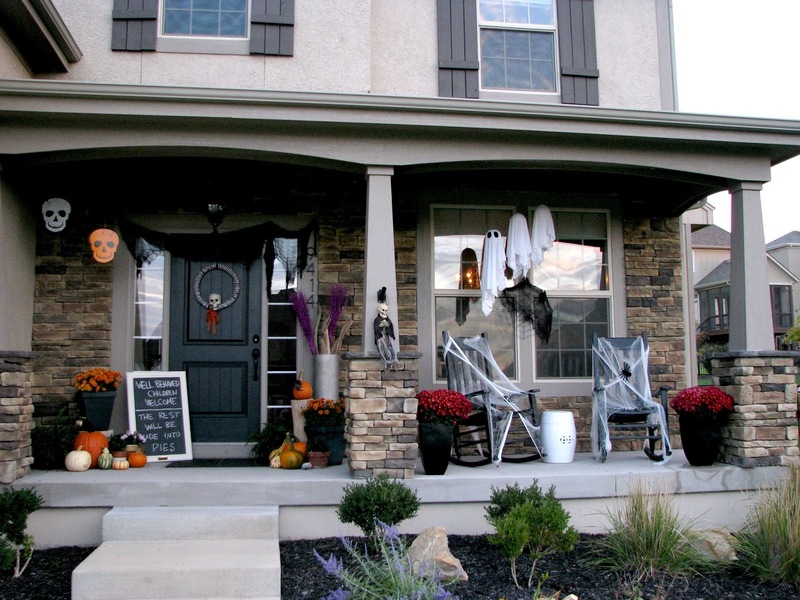 The ghosts, wreath, and chalkboard are all DIY projects from previous years. The purple brooms (Tuesday Morning) and hanging skeleton heads (Walmart) are the new additions this year. 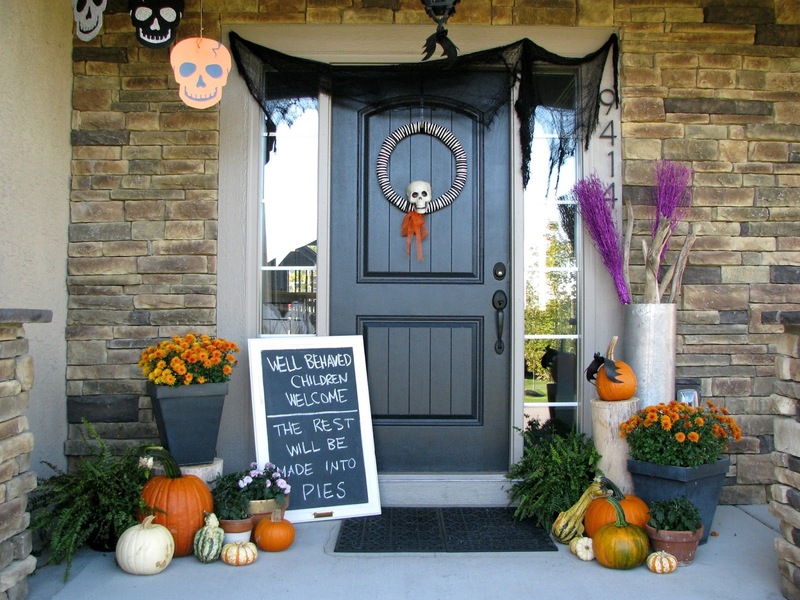 Happy Halloween week! 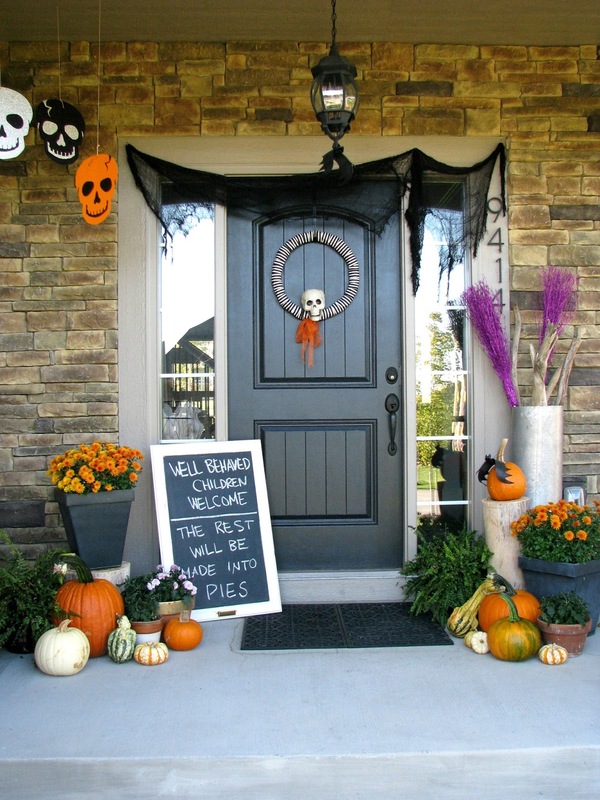 I love your spooky Halloween porch, especially the chalkboard. That's hilarious! I'd be thrilled if you shared this at my Creative Ways Link Party that's live right now. Hope to see you there! Thanks Jamie! 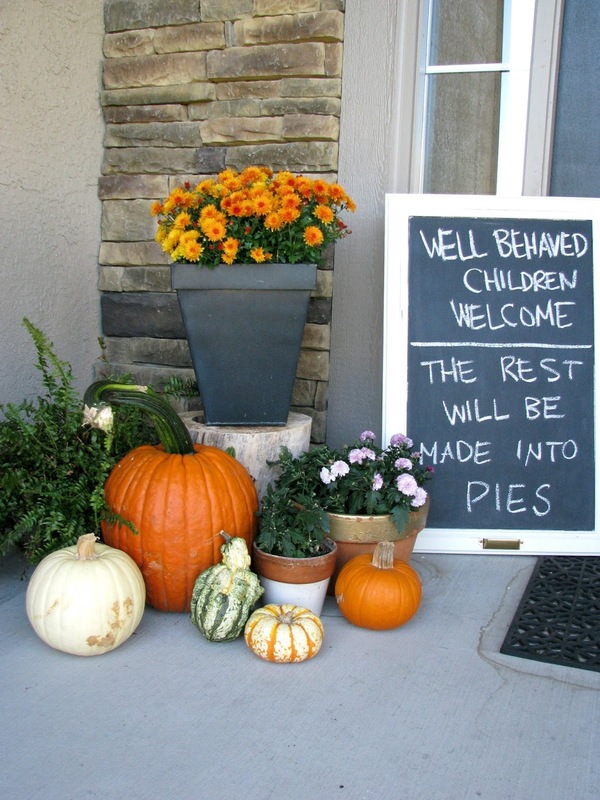 It's funny, several of the older trick or treaters (mostly the girls) commented on the chalkboard!! Thanks for stopping by!